Well, I had a pleasant day today. And one of the reasons for that was that Video Rage got its first review on Amazon today. For those of you who don’t know, Video Rage is the sequel to my science fiction novel Reborn City. The series follows the Hydras, a street gang in the dystopian city-state Reborn City whose leaders have strange and mysterious powers. When the source of these powers comes back to haunt the leaders, what happens will shake the very world they live in. Video Rage came out back in June, but this is the first review to come on Amazon. Not sure exactly why, but I’m not complaining. Or am I? From what I understand, this is book 2 in a series. That being said, I had expected a cliffhanger of an ending. I’m not a fan of cliffhangers, but in this particular book, I think the author did an excellent job of finding the balance between making the story stand complete within itself while ending the story on a note that let you know another book was coming. Personally, the ending was one of the most intriguing ones I’d read in a long time. It didn’t leave you to figure it out for yourself (which is something I hate). The author let you know what was happening and why while leaving enough to be answered in a future book. That all being said, the overall book was an enjoyable read. I especially liked that a former bad guy turned things around and redeemed himself. Those types of characters are one of my favorites. 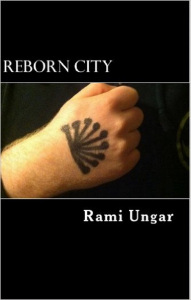 I had hoped in Reborn City (Reborn City series Book 1) that he would, and it was very satisfying to see that fulfilled. I also liked the underlying theme in the novel that what the media tells people through the major outlets is slanted by government agendas. In this book, it was up to the main characters to find an alternative way of getting the truth out. I think this book is best read after reading Reborn City (Book 1) because it really helped to have the background on the characters, and I think this book is far more effective if you have the foundation Book 1 gives you. The science fiction geek in me really loves the genetic aspect. And so that I don’t spoil anything, I will say the real bad guy in this series does a nice twist in this book along that line. Thanks again for the review Ruth. I really appreciate it. And to answer your questions, yes this is the second book, and I am working on the third and final book as you’re reading this. This is actually the second time I’ve heard people talk about my endings. 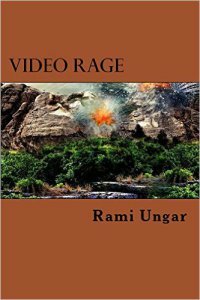 When Video Rage came out, my friend and fellow blogger Kat Impossible read and reviewed the book. While she had some problems with certain aspects of the book (everyone has different tastes), she did say that I had a certain talent for writing an ending, and that the epilogue helped keep readers hooked on the story. I’m glad other readers agree. If you would like to check out Video Rage, or if you think you’d like to start with the first book, Reborn City, you can click on the links below in order to read reviews and see if either book is something you’d be interested in reading (though I’d recommend going in chronological order). And if you do decide to check out one of the books, please let me know your thoughts either in a comment or in a review. Positive or negative, I love feedback from readers. And while I still have your attention, I’ll just end with an update on Full Circle, the final book in the Reborn City series. Currently the novel is going to be 36 chapters, provided I don’t decide to split up or merge any of them from here on out. I’m working my way through the sixth chapter, and I’ll hopefully be done with that one soon. As updates come, I’ll let you guys know. That’s all for now, my Followers of Fear. I might post one or two more times before New Year’s, so keep your eyes peeled. Until next time, have a good one, and happy reading! Video Rage: Second Amazon Review!! !